No Island in the Kitchen? Over the past couple of years, we've seen huge increases in the width and length of kitchen islands. With islands bigger than ever - and packed with more amenities from prep sinks to specialty spice racks - why are some home buyers asking us to do away with their center island? Here are 9 reasons to build a peninsula kitchen, without an island. 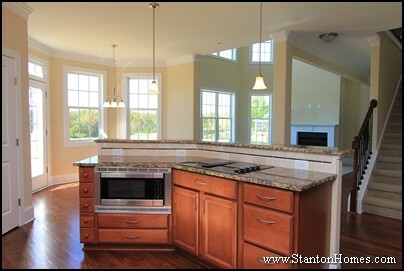 Smaller floor plans generally feature a peninsula, rather than island, kitchen. Peninsulas require less square footage (you only need to walk around three sides), without sacrificing storage or counter top space. 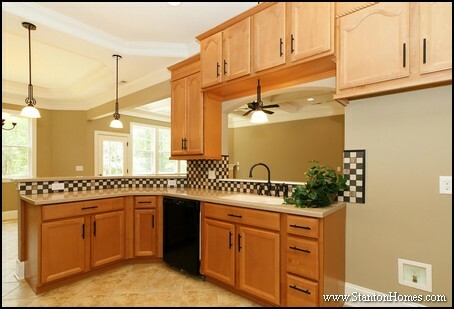 Even in homes with large kitchens, home buyers often request a peninsula design - with cabinets and counter tops on four sides - because they prefer the maneuverability of a no-island design. Huge kitchen island designs are a very modern feature. Traditional floor plans incorporate peninsula designs, with an eating bar or pass-through to the breakfast room and living room. 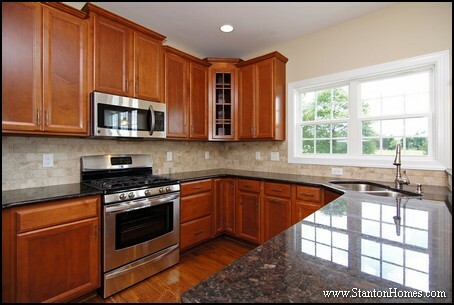 Home buyers who grew up with a peninsula kitchen are returning to similar designs now. Peninsula kitchens are great for those who require wheelchair accessibility where an island could act as a barrier in an otherwise open design. 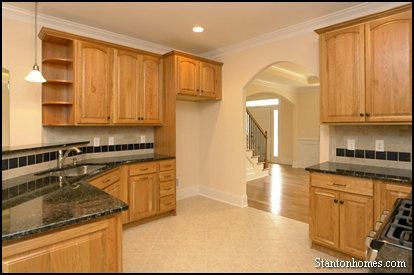 In this home, the four-wall kitchen offers ample storage, countertop, and work station space. 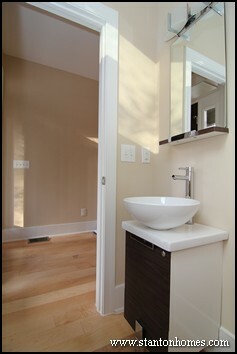 The sink and range are roll-under designs, for wheelchair access. 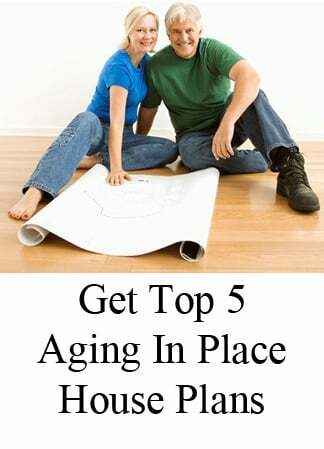 A peninsula design can be more user-friendly, when considering aging in place design features. 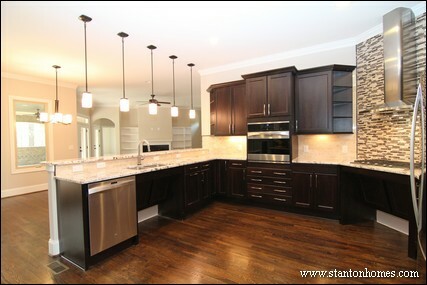 Peninsula kitchens are more common in multigenerational living home plans - designed for long-term ease of use. 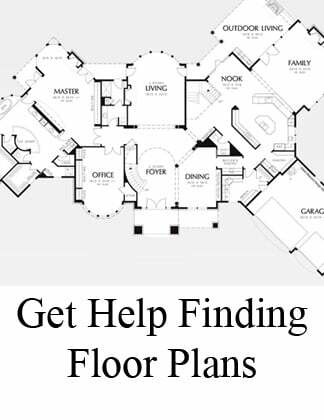 Some homeowners prefer floor plans with clear dividing lines between living room and kitchen spaces. In lieu of an island, a wall keeps this angled peninsula design half open, half closed to the living room - offering a great middle ground between open concepts and discrete spaces. 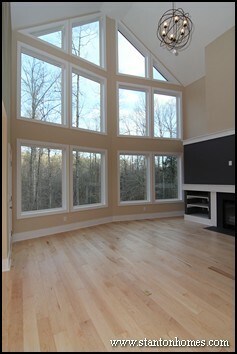 Peninsulas - similar to islands - can serve as the central gathering space of your home. A peninsula design makes it easy to add seating in the kitchen - with a raised or level eating bar - and ample space to spread out as you cook and eat together. 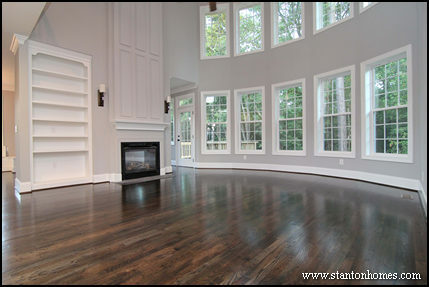 In fact, it is often easier to add more seating to a peninsula design. More home buyers are opting for the flexibility of a peninsula kitchen - where they can add a rolling cart when the time suits. Carts and moving islands are a great substitute for built-in islands. They can act as a temporary butler's pantry, prep space, or storage center. 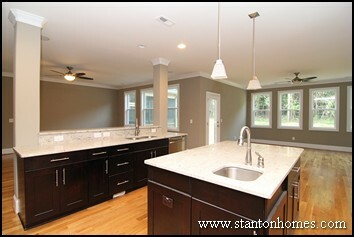 Once you're done, you can tuck the island away, and keep an open kitchen space. One downside to a peninsula kitchen layout is access: some homeowners feel it is difficult to get in and out of a single entrance. 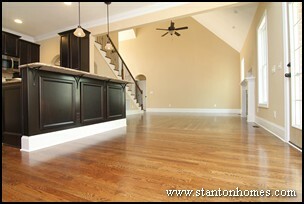 Many modern peninsula kitchens, however, include two access walkways - from the family room and dining room. 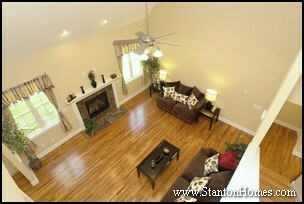 One downside to open concept homes is the lack of walls - and loss of places to add furniture. If you love kitchens that are open to the breakfast room, a U-shaped peninsula design will offer a place to add banquette seating (without having to add a full wall). 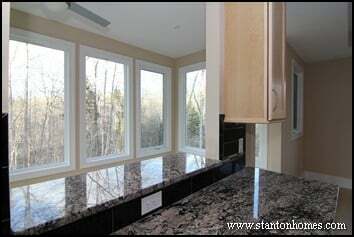 With a peninsula kitchen like the one pictured here, you can place bench seating up against the peninsula, a round table, and chairs around the sides. 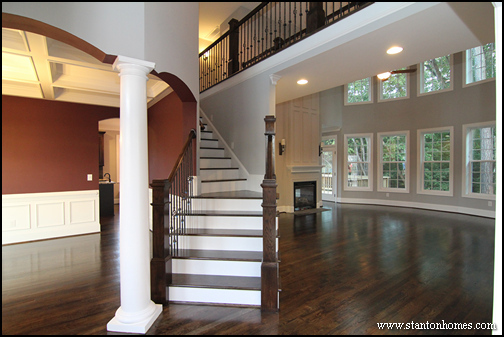 Architectural stone columns are making their way inside new custom homes for 2014, with bold character that makes a statement, with the solid warmth of timeless architecture. Columns aren't just for Greek facades anymore. White columns in Roman or traditional styles are sweeping custom home designs. 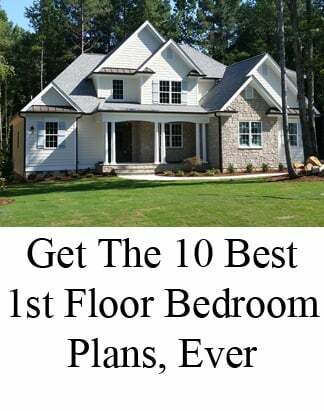 They're making punctuation marks everywhere from entryways to family rooms, great rooms, master suites, and highlighted hallways. 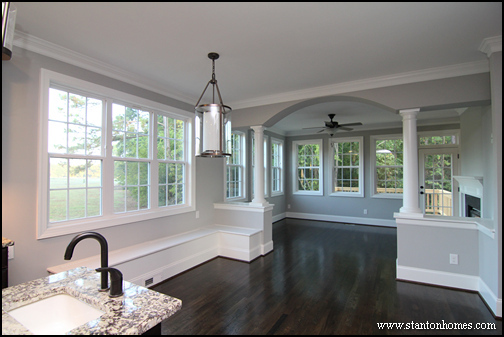 Click here to see photos of a version of the Summerlyn with white columns in the master bath and breakfast room. 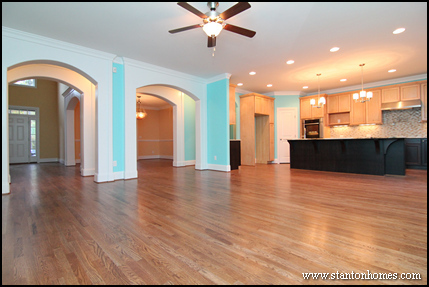 Click here to see photos of a version of the Sutherland with white columns in the formal dining room. 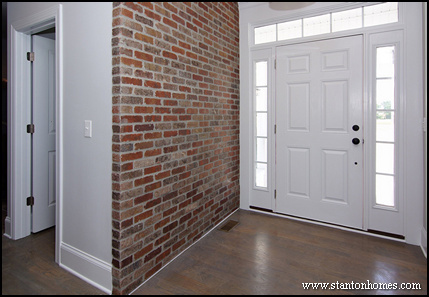 Masonry is also making a move in some custom homes - tracing the texture of an all brick exterior and reflecting it on a wall or feature inside. 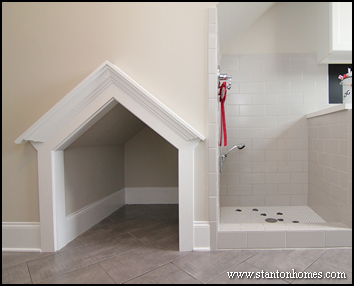 The family dog will have more to wag about, with indoor dog houses and pet showers that pamper your pet (and keep your home fresh). Exposed wood ceiling beams and stone tile can add bold drama to special spaces. 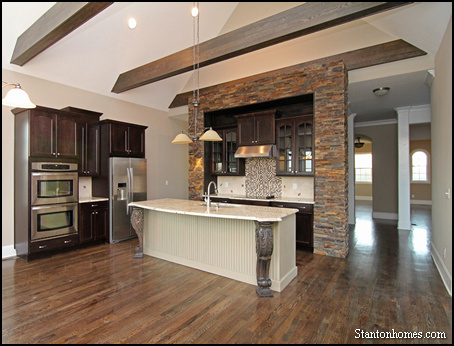 It's a hot new trend in 2014 custom home designs. 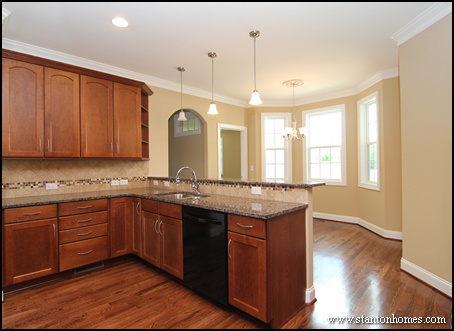 New homes in 2014 are built around sunshine and light, with rooms that emphasize natural lighting - from sunrooms to two story great rooms and full walls of windows. There are more hardwoods than ever to choose from, and some of the hottest are light and bright - including Bamboo or Natural Maple. Today's lifestyles emphasize outdoor living. 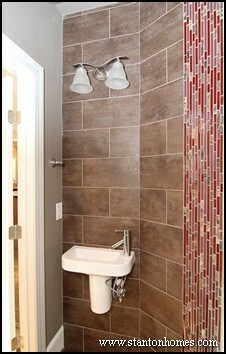 Ask your builder how to build your home around your favorite elements. 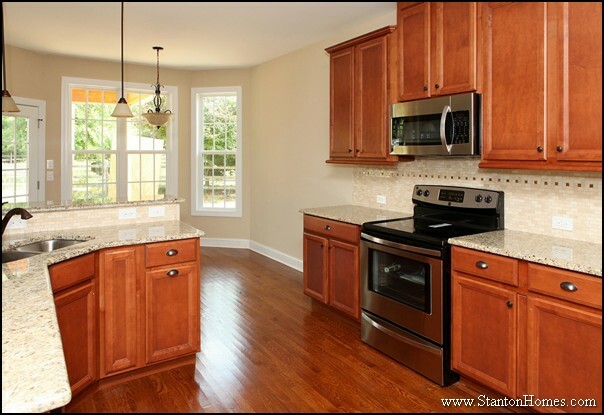 Are white kitchen cabinets in style for 2014? Everybody gathering in the kitchen has led to a bold expansion of space to accommodate everything you need to do, there! Massive kitchen islands are the latest hallmark of a fabulous kitchen, as the focus on food becomes an entertainment, with plenty of places to spread out and pitch in. 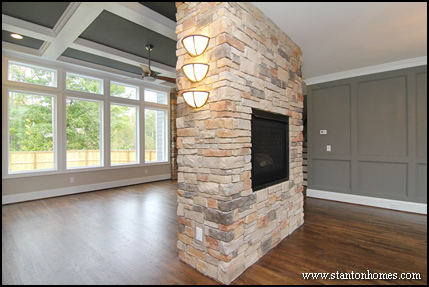 From grand room to dining room, master suite and the courtyard patio, two-sided fireplaces are becoming a hot commodity that has a bright future in 2014 new homes. Great room two-sided fireplace, in a version of the Summerlyn. 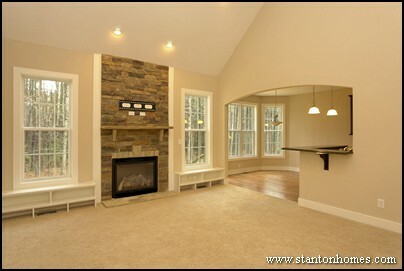 Three-sided fireplace in the master bedroom AND two-sided fireplace in the grand room in a version of the Remington. Courtyard style patio with two-sided fireplace leading to the great room, in a version of the Country Manor. Secret storage centers are a great way to put away things you don't need every day, such as Halloween, Thanksgiving, and Christmas decorations. In this version of the Summerlyn, storage benches line the breakfast room wall. 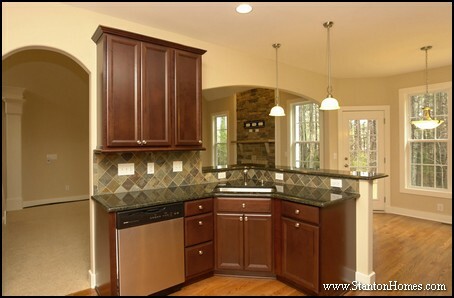 See examples of island built-in shelving in this version of the Cannon. See how to include built-in benches in this version of the Treehouse. And see how to add wrap-around holiday storage in a version of the Bryson. What a "home hub" can do for your family? See example photos here. See photos of a massive mudroom built-in storage center in a version of the Maple Lane. See our top five mudroom designs, here. Healthy living habits are integrated into 2014 floor plans, with coffee or wine bars that are perfect for starting - and ending - your day in comfortable, kick-back spaces. The Bryson has a coffee and wine bar downstairs, and a beverage bar upstairs. 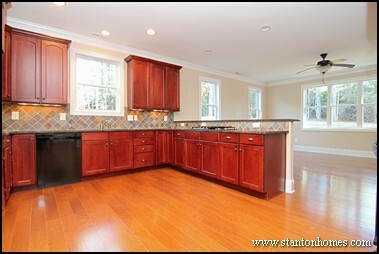 In this version of the Summerlyn, the home owners added an island beverage refrigerator. 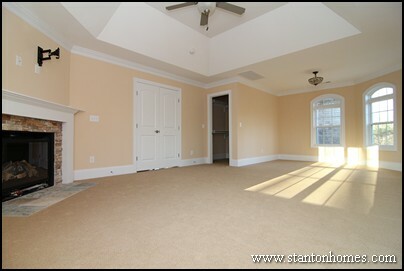 Cozy up this winter, with a private fireplace in the master suite, like this one. Nothing says romance more than the soft glow of a fire in your own special retreat. 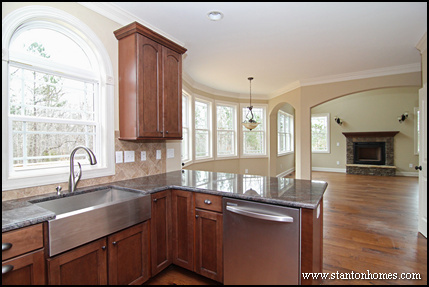 Big kitchen islands are the perfect place to to add a prep sink or pot filler. There's nothing nicer for the sous chef than the ability to spread everything out, and still have water right in reach. Powder rooms in 2014 new homes are filled with fun for your guests, with bold colors, espresso cabinets, and punctuated tile designs that show you care about every detail. 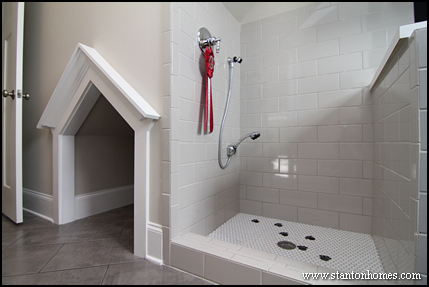 See photos of the top 5 powder room ideas, click here. And see even more ideas for powder rooms with glass mosaic tile, hardwood floors, wainscoting, built-in storage, and water efficient designs. A wine refrigerator with wine rack above creates two distinct spaces, with all the room you need for your favorite vintages - at one quick glance. Islands aren't just for kitchens, in 2014 new homes that cater to space in master suite closests. 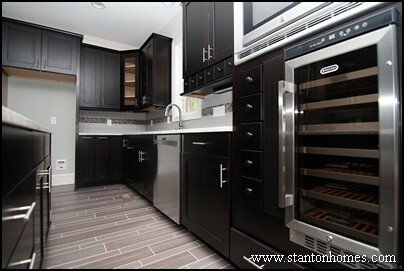 Island cabinets provide drawer after drawer of tuck away space, with a spacious, handy surface over the top. 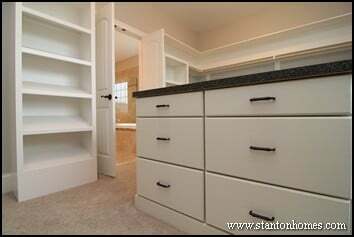 In this version of the Remington, the his and hers closet each have a built-in storage cabinet. 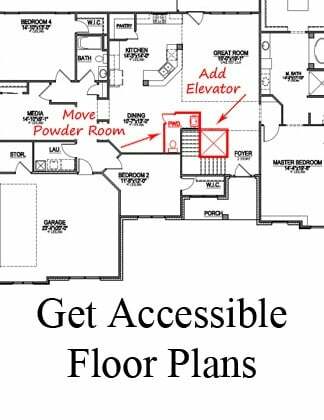 The Dugan, one of our most popular floor plans, is designed with a fully wheelchair accessible closet with island cabinet. In one version of the Summerlyn, the homeowners added a long island cabinet. 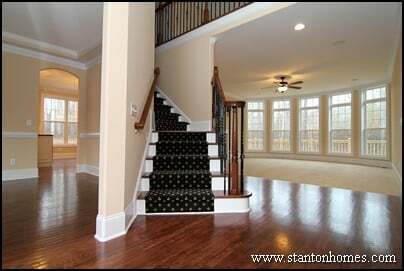 In 2014 new homes, you can expect to see more special details such as storage cubbies, barrel vaults, treys, archways and trim treatments you'd expect to see in Great Rooms - that are now on the rise in hallways. Whether it's the entrance to your home or a segue to your master suite, look for details in hallways that reflect distinction, in custom homes throughout the Triangle.